CAPE TOWN—In the midst of a historic drought, Cape Town is looking for solutions both immediate and long-term to its water supply problems. Although the potential shut-off of Cape Town’s taps on ‘Day Zero’ is likely to be narrowly averted this year thanks to intensive water-saving efforts, long-term drought, coupled with increased water demand and prospects of a hotter and drier future due to climate change, have added urgency to the push to bring additional water sources online. Currently, Cape Town receives 98 percent of its potable municipal water from a large and sophisticated system of mountain-fed dams extending into the regional hinterland. While dam-building projects have met the city’s needs for a century, Cape Town is now turning to the area’s significant underground aquifers. But as local municipalities are moving ahead with drilling, ecologists and environmentalists are concerned that the city’s current plans put both the unique biodiversity of the region and the aquifer’s long-term sustainability at risk. 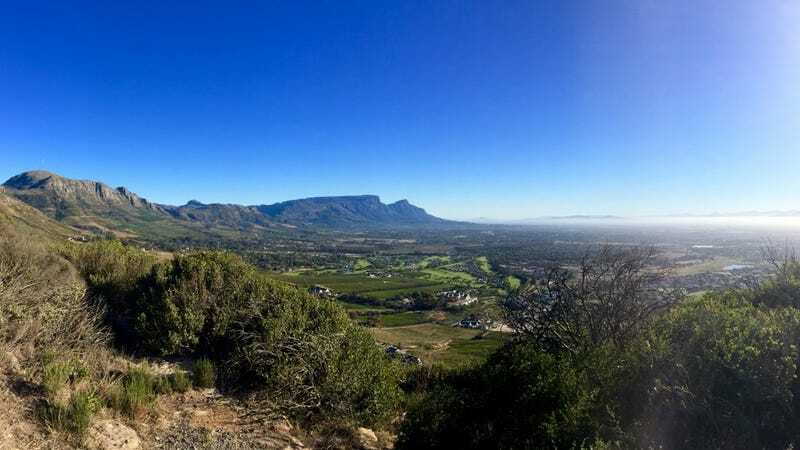 Cape Town and the surrounding region sit atop a complex geology that includes the Table Mountain Group (TMG) Formation, whose erosion has created the iconic Table Mountain that dominates the city’s skyline. The sandstones that predominantly make up the TMG have fractured over eons to create the TMG Aquifer, which is recharged by mountain rainfall. Below much of Cape Town itself, a sandy surface layer and shale formations hold a shallower aquifer named after Cape Town’s low-lying area, the Cape Flats. These aquifers, which together carry billions of gallons of water below ground, present a tantalizing opportunity for Cape Town and nearby municipalities to meet their growing water needs. Groundwater is relatively cheap to extract, and easy to store. Over the past few months, while Cape Town’s drought developed into a global news story, Mayor Patricia de Lille has highlighted the city’s progress drilling exploratory boreholes at strategic points throughout the region. City documents reflect a plan to extract a combined 120 megalitres (32 million gallons) of new water a day from the Table Mountain and Cape Flats Aquifers over the next few years. But in addition to holding lots of water, the particular geology and Mediterranean climate of the Western Cape region has also caused this area to be one of the world’s most biodiverse places, with many plant species that exist nowhere else on the planet. In 2004, in order to protect this unique diversity, some of the remaining natural areas within the Western Cape were designated a Unesco World Heritage site. Now, scientists and environmentalists are sounding the alarm about the potential impacts of tapping the aquifers. The extraction plan, they argue, threatens both the biodiversity of the region and the long-term viability of sourcing water from the aquifer. A majority of the reported 222 drilling sites that the city has identified are located within officially-protected areas in the surrounding mountains. Emergency water permits issued by the national government allow local municipalities to bypass standard environmental review procedures in setting up drilling sites. Cape Town and its contractors have been at pains to emphasize that they are not cutting environmental corners. Botha described the apparent strategy of placing some water boreholes within existing rivers and streams, so that extracted water can pour out directly into riverbeds and down to dams below. While clever in that it reduces the need for additional water infrastructure, Botha called the plan “gobsmackingly stupid” from an environmental perspective. The strategy would result in potentially massive increases in flow volumes, altering the ecological character of these water channels in unknown ways. Jasper Slingsby, another local ecologist, has written that the city’s drilling will neither come online in time to address the immediate crisis, nor will it help with long-term demands since some of the areas being drilled are the same areas that feed the region’s dams. Also of concern is over-extraction leading to depleted aquifers, as places such as Australia and the U.S., where groundwater use is extensive, have learned. In response to the outcry, Cape Town has recently pledged to step back from its previous drilling plans. It now claims it’s reducing the number and location of drilling sites, and has agreed to establish an outside environmental monitoring committee that includes some members who’ve objected to the actions. Cape Town is also promising to replace the water it extracts from aquifers through managed aquifer recharge (MAR), a well-established method for recharging aquifers for water storage and later reuse. In some forms MAR has scored points with environmentalists because it provides a means for reuse of stormwater and treated wastewater. Nebo Jovanovic (right) leading a site visit to view the Atlantis managed aquifer recharge system infrastructure. The city has the know-how to do this because it already runs the second largest managed aquifer recharge system in southern Africa, in its northern suburb of Atlantis. Managed aquifer recharge brings its own environmental and health concerns. Illegal discharges into stormwater, or a malfunctioning wastewater treatment plant, could expose the aquifer to pollution. Sucking up too much water from the water table at once also means that salty ocean waters could start infiltrating the aquifer. In order to avoid these risks, Jovanovic insists that a robust water monitoring system is necessary for a city-wide roll-out. Now that the ‘Day Zero’ drought crisis has been averted for the moment, there is time to consider the best way to make sure water supply and conservation work together—and work well—going forward. Cape Town’s current efforts to tackle its water crisis could position it to serve as a model for water stressed cities globally in an age of rapid development and climate change, where water will be increasingly difficult to access. The city’s homegrown template for managed aquifer recharge could inform context-specific efforts in other parts of the world to reuse water, and reduce the burden on local ecologies. Cape Town’s chance to lead is there for the taking—the world is watching. Christian Alexander is a Cape Town-based sustainability and urban planning specialist and U.S.-licensed attorney.